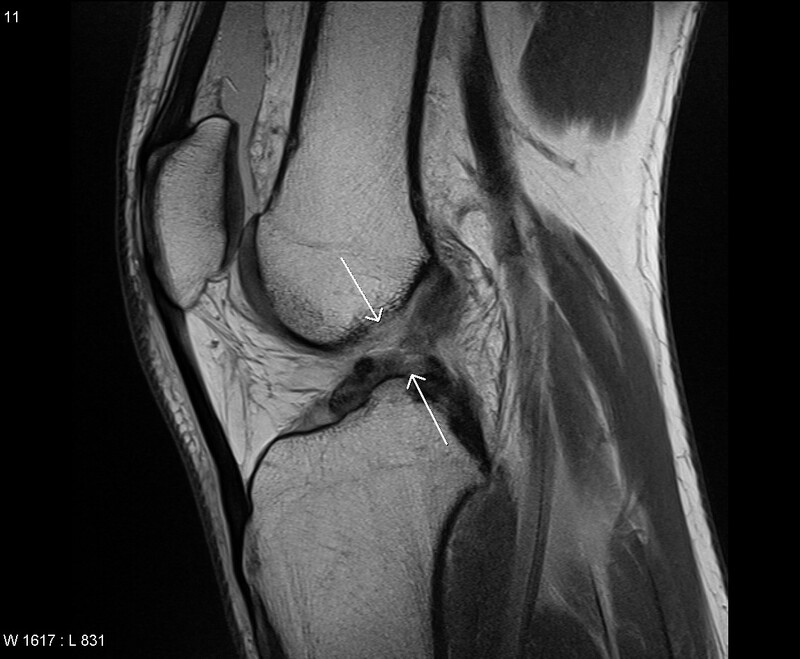 This pathway provides guidance on the imaging of adult trauma patients with a suspected knee injury. The pathway incorporates the validated Ottawa Knee Rules. 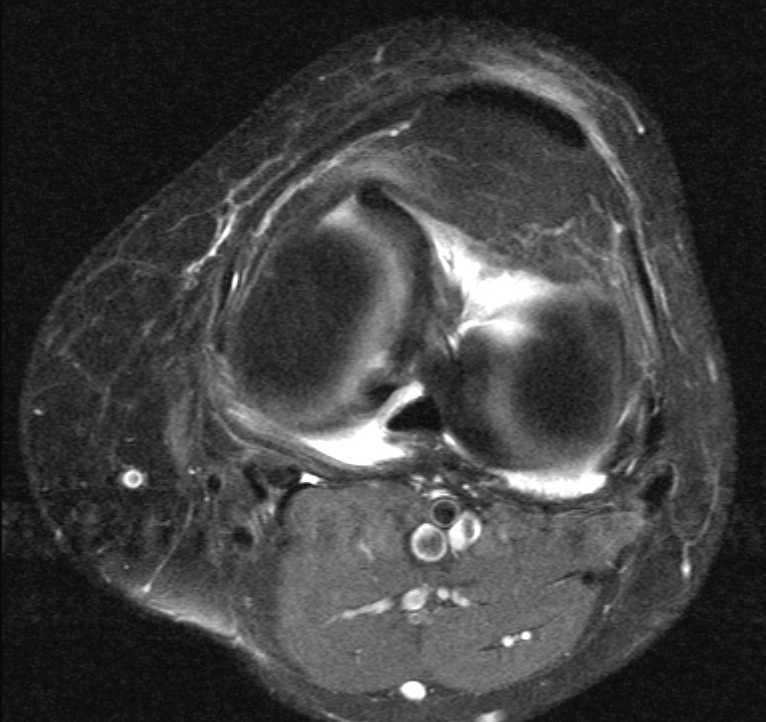 Image 1a and 1b (Magnetic Resonance Imaging): Axial and sagittal images demonstrating a bucket handle tear in the medial meniscus. 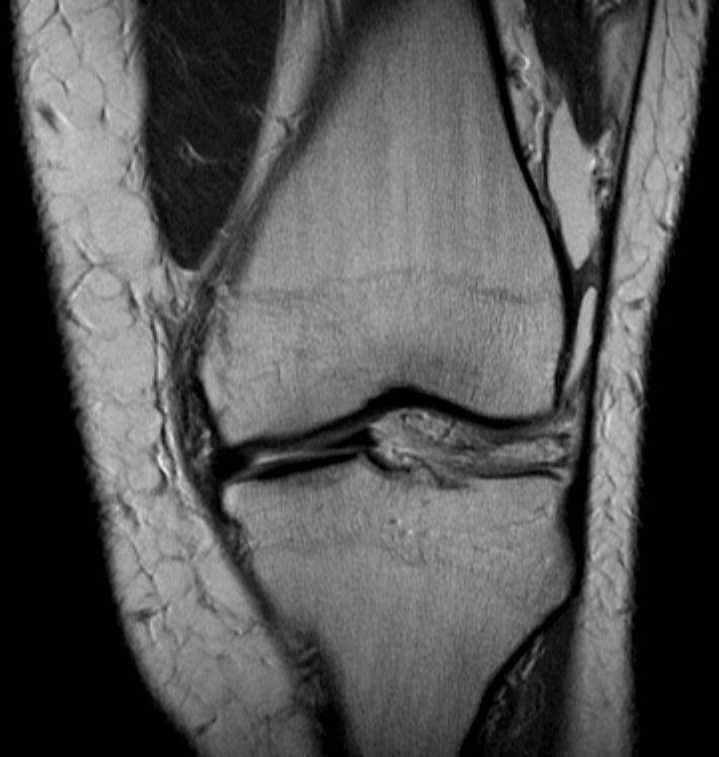 Image 2 (Magnetic Resonance Imaging): Sagittal proton density image demonstrating an acute rupture of the mid substance of the anterior cruciate ligament (ACL) (arrows).